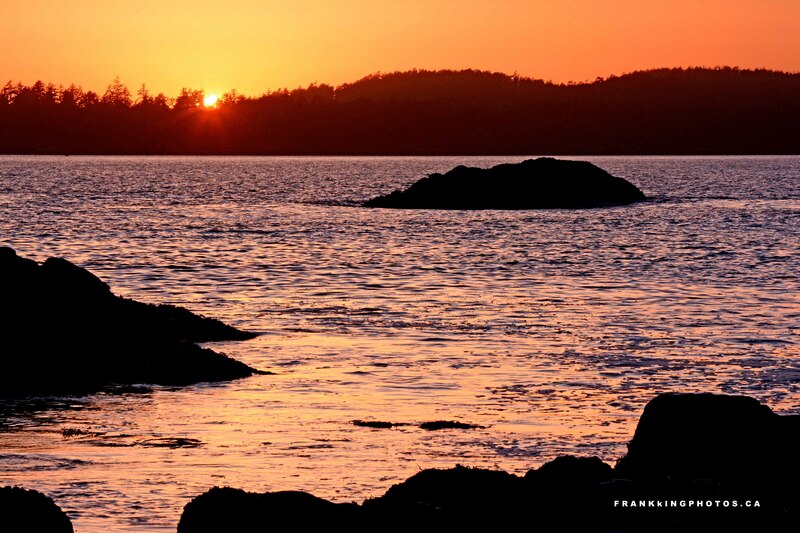 The west coast of Canada’s Vancouver Island is rife with amazing scenes like this. My wife & I were staying at a cabin resort on MacKenzie Beach when we ventured out to enjoy the evening sky. I took my Nikon D7100 and tripod along, sliding an enhancing filter on the lens to intensify the colours. By the way, notice the tiny space between the top of the island rock and the distant forest? I worked hard to make sure it would be there, so your eyes wouldn’t be interrupted as they ranged across the water.